Good morning, and Happy Purim from Congregation Adas Emuno! Purim's here, a time for wearing a mask in celebration of Esther, and her aid that saved the Jewish people from the evil designs of Haman. Based on Pink's "Raise Your Glass." All sounds made with voice and mouth. Vocals: Shani Lachmish, Ayelet Beazley, Tamar Gur, and Noa Yammer. Produced by Shiran Yalovich, Smadar Tsook, Keren Apfelbaum, and Stav Taub. Here comes the story of Purimand it goes a little something like this. I can do this, I'm not afraid. Ok, here goes...Now it's time to tell the KingAnd I'm takin' back my ringAnd my plans have all been blownBut we can always, we can always: party on our own. So, come on over and raise your mask and raise the roof at Adas Emuno, starting at 7 PM sharp! Thanks once more to our friends at Aish.com for another fun video to get us in the holiday spirit! Shabbat shalom, and join us tomorrow night at 7 PM for our Purim service, spiel, and celebration! Achashverosh says "COME", Vashti Says "NO"
His advisors said, "Shes got to go"
Haman said, "You must bow! ", Mordechai said "No way, no how"
With the royal ring, Hamman decreed, Build a gallows 50 high! The king changed his decree, Haman was hanging! To defend themselves from Haman's...... Wicked decree! Hashem's our guard and savior!!! !, Purim celebrates turnarounds! Forever in Adar, we celebrate, the great escape, from wicked Haman! So thank you for a foxy Purim, and chag sameach! And so we see that this minor holiday holds lots of significance, as well as lots of fun! As we look forward to our celebration of Purim on Saturday evening at 7 PM, here is a brand new YouTube video that takes a novel approach to the holiday. As you may recall from our previous post, Hannah Arendt and Charlie Chaplin, back in the silent film era, Charlie Chaplin, one of the biggest movie stars of his time, was often thought to be Jewish. Just in time for Purim 2014 comes "The Reveal", an all new music video that takes a giant leap forward in Jewish cinematography, turning back the clock to the golden age of cinema. Starring Lipa Schmeltzer and Ari Lesser and featuring Zvika Bornstein as none other than Charlie Chaplin, The Reveal takes a look back in time at Purim of the past in order to drive home an important lesson. "There is a famous Jewish law that if you read the Megilla backwards, you are did not fulfill the mitzvah of Megilla," explained producer and director Danny Finkelman. "The Chasidic interpretation of that statement is that if you think the story of Purim is something that happened back in the day, then you have missed the whole point of Purim. Just like G-d's name isn't mentioned in the Megilla, but his presence can be felt throughout the story of Purim, so too, G-d continues to be with us today, every day of our lives." Featuring an original composition by Cecelia Margules and music by Ruli Ezrachi, The Reveal has a distinctly retro feel, enforcing the timelessness of Purim and all that it teaches us. 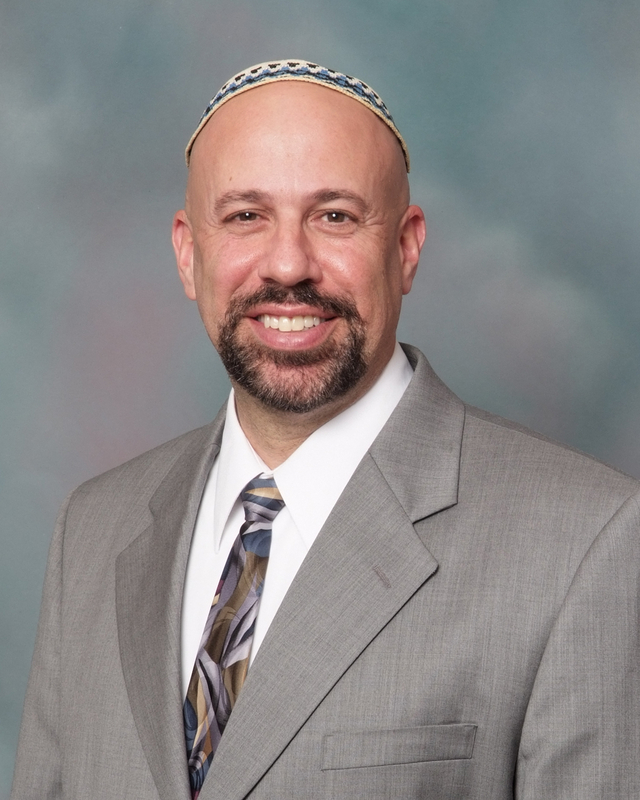 "Maybe we don't feel G-d's presence in our everyday lives or maybe we only feel that connection on Yom Kippur at Neilah, but it is there, every single day," says Lipa. A fun, feel good video that embodies the true spirit of Purim and emphasizes its eternal relevance, The Reveal is a Sparks Next production. Well, this video may be too late for the Oscars, but it's just in time for the Esthers! And as for our Purim Spiel on Saturday, we can guarantee that it won't be silent! So, get your groggers ready, and we'll see you then! 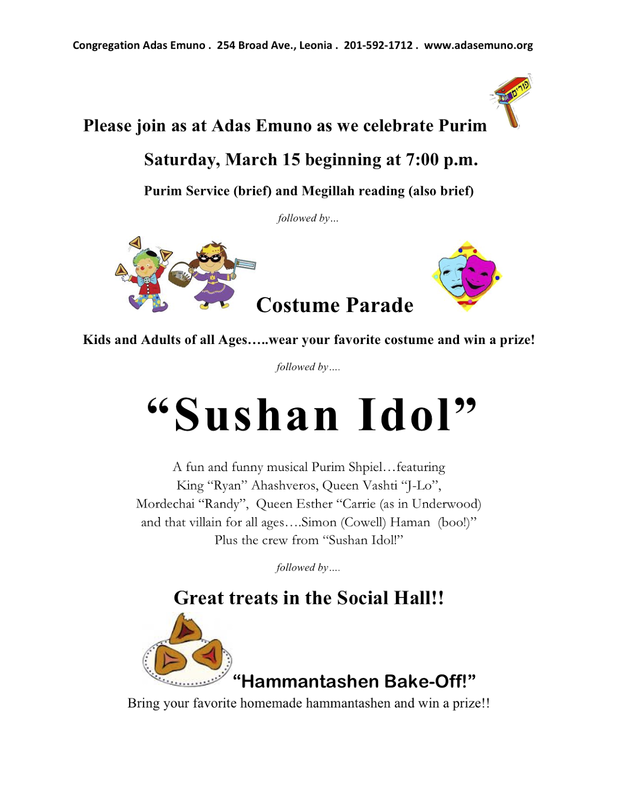 Purim's coming, and with it our annual holiday service, Megillah reading, and Purim Spiel! See you on Saturday for a treat for the ears, eyes, and taste buds! Rising sea levels are seen as a threat to coastal regions of the United States, and that is indeed a cause for concern, both nationally and locally. But this column is not about the effects of climate change on the Jersey shore, as important as that topic may be. No, it's not our sea levels that I want to bring up here, but rather something I'd like to call our C levels. And the question I want to pose to you is, when it comes to Adas Emuno, what's your C level? Let me suggest to you that there are four basic C levels, that as levels they range from the lowest to the highest, and that rather than a problem, rising C levels are exactly what Adas Emuno needs. The lowest level, our low tide if you will, is the Consumer level. At the Consumer level, we think of Adas Emuno as a product or service that we purchase, just like buying toothpaste, a meal at a restaurant, or airline tickets. Or maybe it's more like buying membership in a club, paying tuition for a class or school, or purchasing stocks and bonds. Whatever variation on this view we might take, the point is that we are looking at our involvement in Adas Emuno as an economic transaction. And it follows that it makes perfect sense to ask, are we getting our money's worth? Or, are we getting a good return on our investment? Is it a good bargain? Such a deal? If you're asking questions of that sort, I do hope your answer is yes. And I won't lie to you, there have been times when my relationship to Adas Emuno dipped down to Consumer level. It's hard to avoid, when we live in a world where it seems like you can put a price tag on anything, when everything seems to be reduced to dollars and cents, when the word priceless is just a slogan that a credit card company uses to mean, buy now, pay later. But I think we all know that there are some things that transcend the realm of financial calculation and pecuniary interest, and that membership in Adas Emuno simply cannot be measured in the form of customer satisfaction. You can't buy your way into Judaism. As consumers, it's all about what we can get, and how much we can get for our money. As consumers, we use our money, and we use it up, and in the same way, we use the things that we pay for with our money, and we use them up. That is what consumption is all about. But the great symbol of our faith and spiritual covenant, the first great revelation that Moses experienced, came in the form of a bush that burned but was not consumed. The burning bush, symbolized by the eternal light that hangs above the ark in our sanctuary, serve as a reminder that our tradition of worship, learning, and social justice is not a product, it is not a service like dry cleaning or being waited upon. Our tradition is a calling. We are called to worship, we are called to learning, we are called to seek justice. We are called, and when we respond to that call, we reaffirm the sacred covenant of our ancestors. And in doing so, we raise our C level to the Congregant level. As congregants, we are more than mere isolated consumers, consumed with ourselves. We are members of a religious community. We join together in search of another dimension of human life, something different and distinct from the everyday, something greater than ourselves, something that takes us out of our fixation with the present, linking our ancient past to generations yet to come. 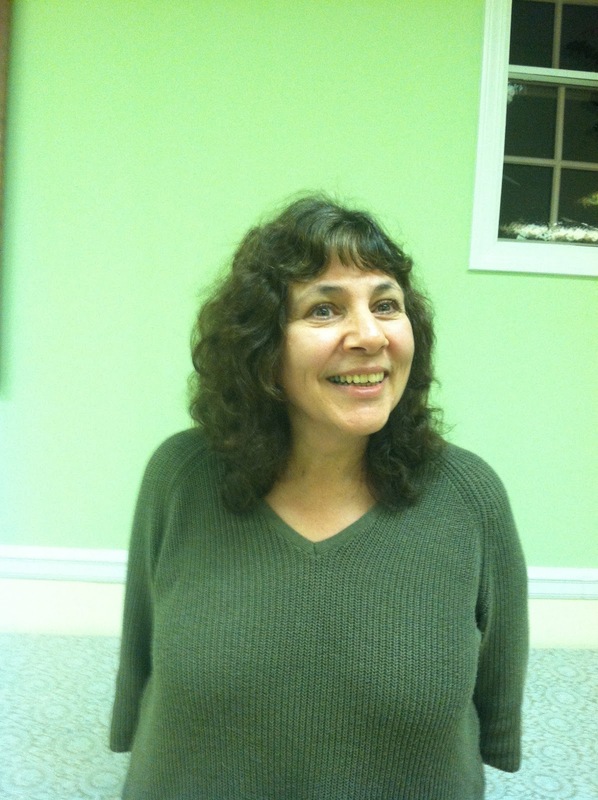 When we move beyond our individual needs and desires and become a part of a congregation, with a sense of responsibility to and for each other and our tradition, we are at the Congregant level, and when we go above and beyond being present, when we are actively participating in congregational life, we attain the third C level, the Contributor level. And that may sound like it's all about money again, and indeed financial contributions are one way to show your support, but there are many other ways as well. Contributing time, contributing effort, contributing skills, contributing knowledge, contributing talents, contributing support of any kind, all forms of contribution count. It is here that the temptation is overwhelming to invoke the cliché, with apologies to JFK, to ask not what Adas Emuno can do for you, but instead to ask what you can do for Adas Emuno. There is a fourth C level, beyond that of the Contributor, which is the Citizen level. As citizens in a democracy, we exercise our right to vote, and we are obligated to be well-informed about the issues that our leaders must deliberate and decide upon. To rise up to the Citizen level of Adas Emuno means to attend our congregational meetings, vote in our elections, serve on our committees, and participate in the functioning and administration of our congregation. On the Consumer level, we stand apart from Adas Emuno, looking at it as a source of goods and services. But on the Citizen level, we fully understand that we ourselves are Adas Emuno, that it does not exist apart from us, collectively. And we honor our commitment to our congregation, our faith, and our tradition, by taking full responsibility for our community. These then are the four C levels of Adas Emuno, the Consumer level, the Congregant level, the Contributor level, and the Citizen level. No one is stuck on any one of these levels, and we all move up and down this ladder at different times. What I ask is that you think about what level you are on right now, and what you might be able to do to raise your own level higher, and to help others to do the same. Whether we see ourselves as consumers, congregants, contributors, or citizens of Adas Emuno, together we are answering a calling by forming a community that we share and nurture through our caring and concern, our collective efforts representing a covenant with the past, and a commitment to the future. So, what's your C level? Not long ago an anxious parent came to me with the concern that her son did not want to come to religious school. That, in and of itself, is unfortunately nothing new. But the reason was not what you would expect—the desire to sleep late, or do something else. This young boy did not want to attend because he felt that what he was learning was not true. Upon further inquiry I learned that this boy could see no real purpose to our Sunday morning religious school service or the telling of Bible stories. Why pray if you don’t believe in God? Why listen to the Torah if it didn’t really happen that way? I’d like to try and respond to this middle school student (little did he know that would happen in a rabbi’s column!) because it raises the important question of cognitive dissonance. Of course there are many reasons legions of us avoid prayer and Torah study, two of the most important activities of “religious” Jews. But surely for some of us it is because reason gets in the way of faith. We are skeptical of our tradition’s claim of a Creator who rules the world. We question the biblical version of history, with its miracles and revelations and acts of divine intervention. Prayer may not bring water to parched fields, nor mend a broken bridge, nor rebuild a ruined city. But prayer can water an arid soul, mend a broken heart, and rebuild a weakened will. When I happened to mention this incident to a colleague, he nodded sympathetically. To some extent all of us experience this disconnect between “Athens” and “Jerusalem”; between secular and religious ways of viewing the world. Then my colleague said, “What’s important about the Torah is not that it happened, but that it’s happening.” In other words, the Bible is less a record of what was, as it is a guide to what should be. I just finished shoveling my property during the first snowstorm in February, with two more storms to follow. I opened my email to find that registration will open soon for URJ 6 Points Sci-Tech Academy, a new summer camp offering high-level programming in science and technology. This innovative new camp will open in July 2014 on the campus of The Governor’s Academy near Boston. URJ 6 Points Sci-Tech Academy will attract campers seeking high-level science and technology experiential and fun learning in the summer. Campers will work alongside experienced instructors to design projects in activities such as robotics, video game design, environmental science, and digital media production. The new camp builds off the success of the URJ’s first specialty camp, 6 Points Sports Academy, which recently completed its fourth summer with more than 600 campers. Both camps offer two-week sessions, professional instructors and program design, and locations on the campuses of prestigious boarding schools. The Governor’s Academy, 30 minutes north of Boston, features modern educational, recreational and dorm facilities combined with a rustic campus to give a “summer camp” feel and create a safe and warm environment for campers. For more information about URJ 6 Points Sci-Tech Academy, visit www.urj6points.org/scitech. For more information about any of the URJ Camps, Youth and College Program, please visit http://urj.org/youth. The Jewish Federation of Northern New Jersey is proud to partner with The Foundation for Jewish Camp on the One Happy Camper Initiative, which awards incentive grants of up to $1000 each to eligible first-time campers at non-profit Jewish overnight camp including URJ Camp Harlam, URJ Eisner Camp, and URJ Goldman Union Camp. Eligibility information is at <www.jfnnj.org/onehappycamper>. Comfort food.... It's what goes best with the weather we have been enduring (maybe a bowl of homemade soup or a cup of hot chocolate after shoveling snow?). As we know, however, for some folks, any food is comforting and welcomed, as it is not readily available to them. 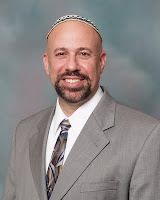 It is for this reason that Adas Emuno has signed up to be a drop-off site for the Jewish Federation of Northern New Jersey's (JFNNJ) county-wide food drive. Sunday, March 9 is Good Deeds Day, sponsored by the JFNNJ. The Federation is asking for volunteers to divide up the food donations. This will take place at the Federation's office, 50 Eisenhower Drive, Paramus, from 2-4pm. This is a wonderful opportunity for families to become involved in social action, as there are no age restrictions! There is, however a need to register at <www.jfnnj.org/gooddeedsday>. Please email me to let me know if you sign up. My email is at the end of this column. We will be collecting clothing, in good condition, for men, women and children. The donations will be given to the non-profit charity of Calvary Lighthouse/House of Blessing in Lakewood, NJ, which gives the clothing to anyone in need. 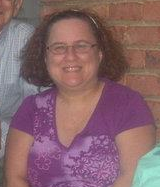 This group works closely with social services in that area. Please bring donations to the social hall (back area) from now through March 21. Please do not leave donations after this date, as there is nowhere to store them. A heartfelt “thank you” to Cantor Nancy Beller-Krieger, who informed me of this organization and has very kindly offered to transport the donations to her home where they will be picked up Ongoing: Tabs from soda cans are still being collected for Ronald McDonald House. General food drive for the Center for Food Action is always ongoing! Please bring to back room of the sanctuary. Thanks again for your support! BLOOD DRIVE: Sunday, March 30 9 AM to 3 PM. Emma Schuller started this project last year as her bat mitzvah project and hopes to make it an annual event at Adas Emuno. Please bring a photo ID. You must be 16 or over to donate blood. Open to the community. Thank you to Emma and her mother, Zina, for coordinating this effort.